Due to my internet problems,I will upload Single Player version later. 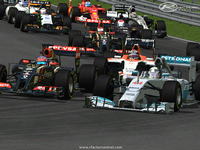 Here is my F1 2014 mod. It has the 2014 physics by Euroracers(thanks to their for big help!) 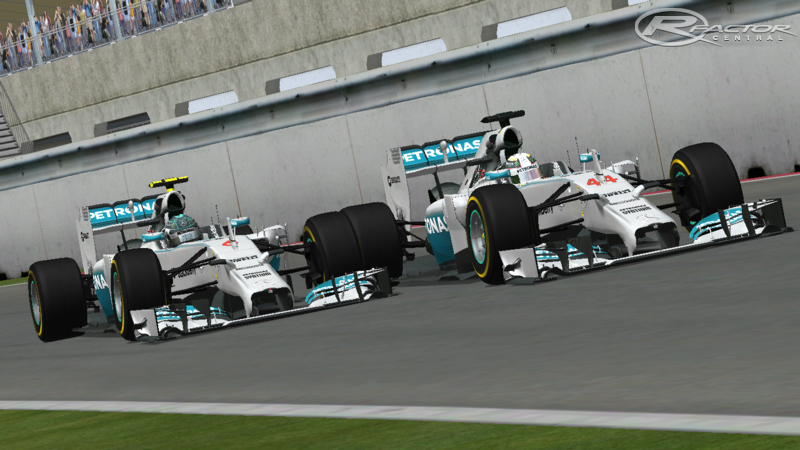 and fully updated 2014 cars. I will continue to update cars texutres and aero but I think I will need help to some help to make front wings and rear wings. !!!! PLEASE DELETE OLD VERSION BEFORE INSTALLING !!!! a)Just use the uninstaller I made for 0.91.
you have to follow the first method because the uninstaller won't work. b) Select your rFactor folder as directory folder. The "boost" of origin factor is renamed " Fuel Economy " ( Fuel Saving in the game) - this is one of the main novelties of this year in F1. Special thanks to all who helps me and support me. I recommend to download .exe instead of .rar because it's more lower,it install automatically and it add an uninstaller if you want to delete the mod if you don't like it or if you need to go to the next version.However to those who think It's a virus,prefer to know what is into my mod or have problem with installer,the .rar version is avaible too. 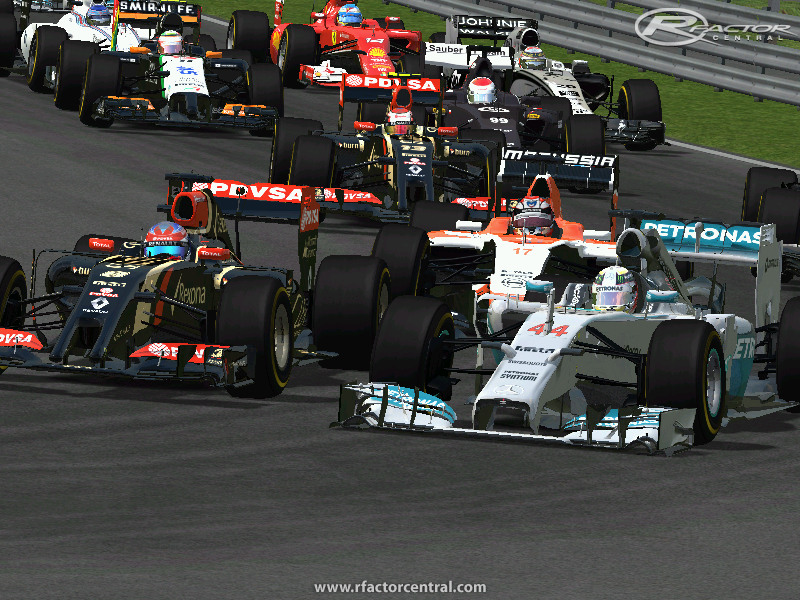 There are currently no setups for F1 2014. Add a Setup. Just wondering can you edit the points for the championship placings? Also to how for down do the points go. Any chance you could post the file on some other file service, like Mega? the mod is fantastic, but there is one thing to correct. 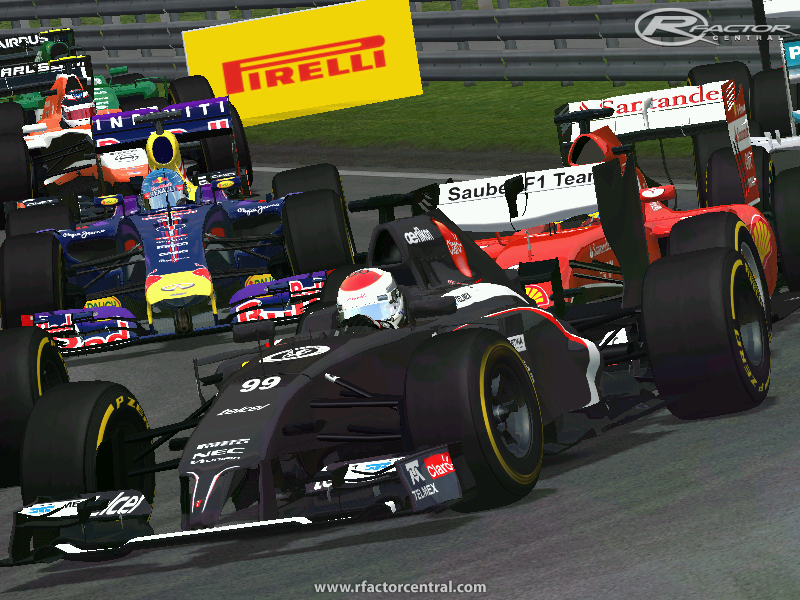 in some car, redbull for example, mirrors are opposite, so in the left mirror you see the right rear side and viceversa.